Many thanks to the guys and girls on here that have made this a really happy year. I have made many new friends here and I hope you all have too. Now I want to wish you all a really HAPPY NEW YEAR 2013 and that it will be at least as good as this one! PS... Hey Ney... Rick will be another year older sometime in 2013!!! But how old is he??? Gordon, you speak to me from the soul. Thanks to all who have made ​​here this year as eventful. All the new mods and a lot of funny posts have been a real pleasure. I have experienced a lot of support and won good friends. For that I would like to thank. I wish everyone agreat year, 2013 . And as Geedee already wrote, and that it will be at least as good as this one! So ... I agree with all above and .............. ditto ! Gordon and Deep said everything! I thank you all very much to could be together all this year! Tons of friendship, help when needed, great fun and great laughter and good humor in each word, in every moment! I thank you to can be your friend! Cheers! Type as loud as you like, I don't get hangovers for some reason. 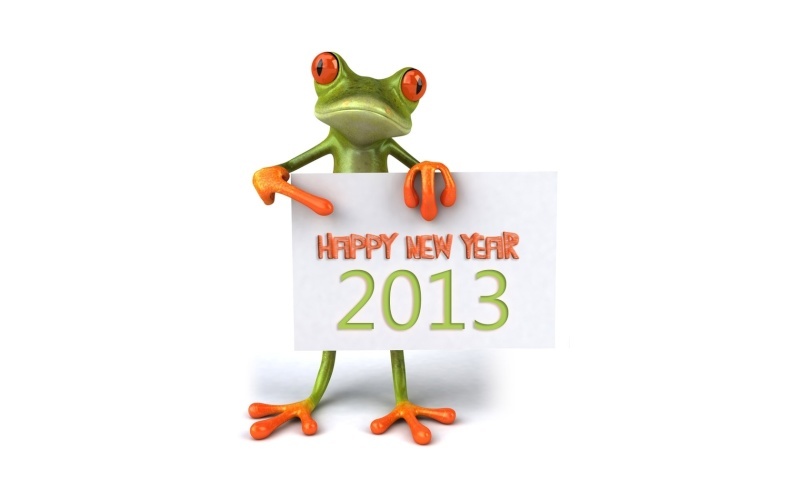 Have a good celebration tonight and happy healthy 2013 everyone. TOMORROW I WILL ONLY TYPE IN LOWER CASE AND SMALLER LETTERS SO THAT I WILL BE QUIET FRO THOSE WITH A HANGOVER ! ! ! ! With a huge packet of headache tablets. I know of this film because i have a few German friends and they say it has been shown every year on German TV at Christmas for over 40 years. Last year I found that it is even known to the Australians!! The last time I had some brown ale followed by whiskey (Southern Comfort) which was in 1976, I was up in Edinburgh for a week and it was my last night there. I can clearly remember getting to the bottom of the staircase of the guest house I was in on my way to bed. The next thing I knew was a woman knocking on the door telling me I was late for breakfast. I jumped out of bed quickly as I knew that I had my suitcase to pack before I would go to eat. The really strange thing is that it was already packed... but to this day I haven't the foggiest notion if it was me or someone else that had done it!! Happy New Year to all here at Evo !! All good thoughts i have for me I wish for you too ! A happy new-year-morning from Germoney! Ney, we shrinked our balls away to insignificance last night outside when watching and generating some firework, which was reluctant to get burning of the very same reasons of awsome colderness. How happy you are, mate, to live in a land, where central heating is complementary! But we were able to simulate your residential opportunity through reclamation of the immanent energy out of some pieces of wood (for the house) and some bottles of alcohol (for ourselves), so that all went fine till now (except this headache, which tends to make us blue enough to write down senseless philosophical effusions like this and will be resolved only by supply of another repair-beer which will be my second act at this new year right now) Cheers! Hehehe! My thoughts are with you there, in Germany, drinking this beer with you, dear friend Klaus! Cheers! As Gordon and Deep-Strike said, we won new good friends here. This was a super year, with lot of good surprises. Thanks for the frienship. I'm proud to be here with you chaps. You're really good people. 2013 will be for sure a good year (not the tyres ), not only with the projects, but more thanks to the good spirit, and as Ney said, "Tons of friendship, help when needed, great fun and great laughter and good humor in each word, in every moment!" That's the most important. Stay like you are, guys !